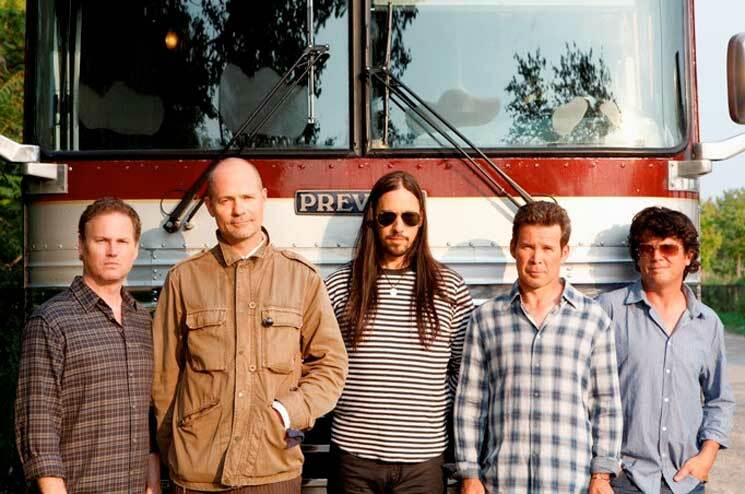 The Tragically Hip invested in cannabis producer Newstrike last year, and while Newstrike's acquisition of CanniMed Therapeutics Inc. may have fallen through, the band are still backing the company's new brand, Up Cannabis. So much so, in fact, that five strains of weed have been named after classic Hip tunes. As the Canadian Press reports, "Grace, Too" will get a nod with a strain simply called Grace, and "Fifty Mission Cap" will become ingestible as 50MC. "Morning Moon" and "Eldorado," meanwhile, directly lift song titles from We Are the Same and Fully Completely, respectively. The fifth and final strain to be christened with a Hip-related name is Gems, inspired by Road Apples closer "The Last of the Unplucked Gems." Celebrity cannabis endorsements will be prohibited once the legalization of marijuana comes into effect on October 17 — though, the Hip's status as investors in the company means their involvement isn't strictly an advertising ploy.